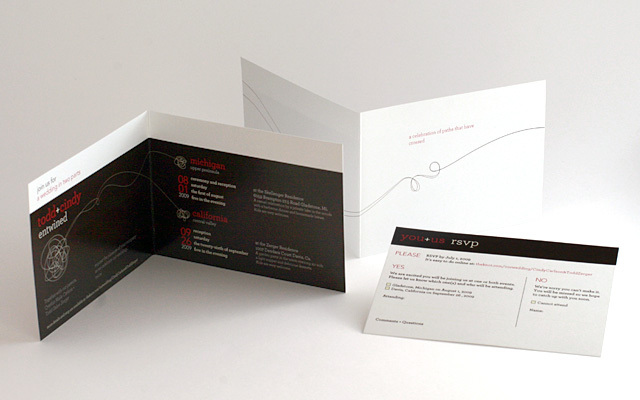 Carlson Zerger Wedding - BrainstormOverload - Small design studio. Big ideas. 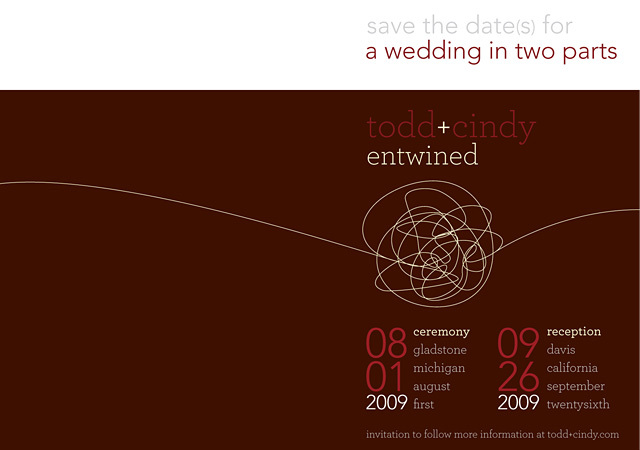 A full range of materials to support a wedding in Michigan followed by a repeat performance and reception in California revolved around the idea of two lives entwined together by all the connections of family, friends and places. 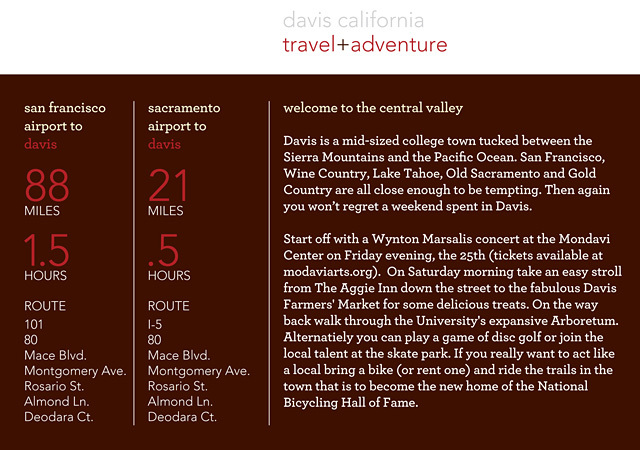 For those traveling to either location we included a double-sided card introducing them to each area. 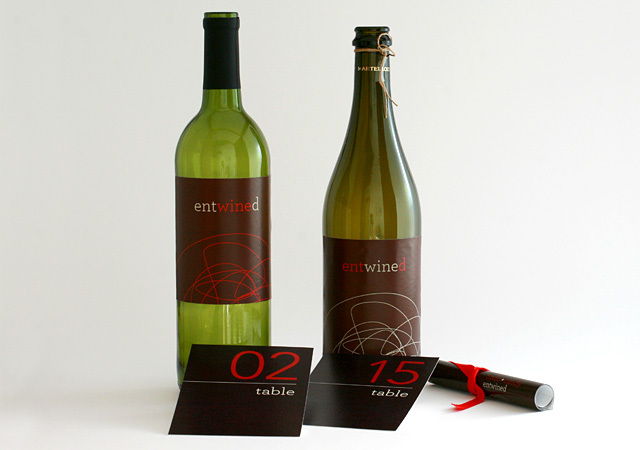 Signage, table cards, camera tags, welcome bags…nothing escaped our attention. The wine bottles enjoyed a particular dash of serendipity. 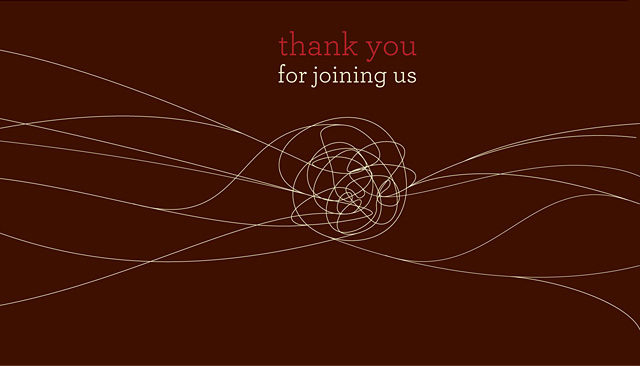 From welcome to thank you it was a resounding success… and a great wedding too.